Known as the home of lush tropical beaches, the world’s second-oldest horse racetrack and the now-extinct Dodo bird, the East African island nation of Mauritius is seeking to brand itself as a regional haven for blockchain innovation. Since its independence in 1968, the former Dutch, French and British colony has become one of the most successful economies in the region by building itself up as a technology and financial services hub. Now, Mauritius is looking at blockchain as a catalyst to fortify its competitive advantage and drive continued innovation on the island. “We are working to take our economy to another level, and these kinds of technologies are very important in our strategy,” said Atma Narasiah, head of technology, innovation and services at the Board of Investment Mauritius, the national investment promotion agency of the island. The island nation has well-established financial services, information and communications technology industries, so attracting investors and entrepreneurs in blockchain and financial technology could be seen as a logical next step. “Blockchain is one of these technologies we want to drive. We see a window of opportunity here to be able to leapfrog others,” Narasiah said. 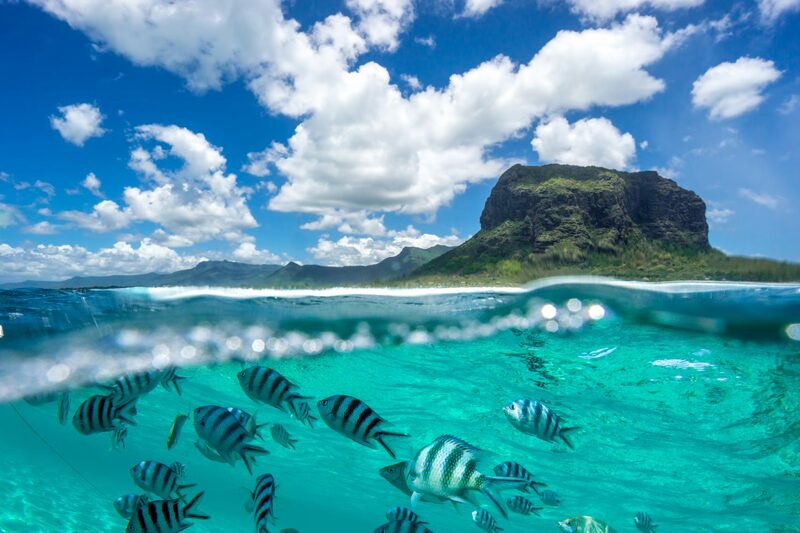 In its quest to become the blockchain hub of the Indian Ocean, Mauritius has issued an open call for innovators to take advantage of the country’s new Regulatory Sandbox License (RSL). The sandbox allows companies operating in areas such as financial, medical and communications technology to start operating despite the absence of a formal legislative or licensing framework. Modeled after similar approaches employed in Australia, Singapore and the UK, the RSL is open to all innovators, but there’s an emphasis on attracting blockchain innovators across all verticals. The expectation is that completed projects will help drive domestic and cross-border commerce and eventually expand into a smart city concept that links to other hub cities. Since launching in November 2016, the RSL has fielded 11 project proposals, with most under the fintech umbrella. To be considered for approval, applicants must demonstrate their project is innovative, beneficial to the Mauritian economy and it cannot be accommodated in the investor’s home jurisdiction because of legal or regulatory gaps. Qualified applicants can obtain licensure in as little as 30 days, provided that all relevant information is received and risks are properly addressed. So, why should blockchain investors consider setting up in Mauritius? According to the World Bank’s annual “Doing Business” survey, Mauritius has the best business climate of any country in the region and ranks 49th out of 190 countries worldwide. The World Bank’s rankings weigh factors such as ease of starting a business, enforcing contracts, obtaining credit, protecting investors and paying taxes. In its annual competitiveness rankings, the World Economic Forum said Mauritius possesses Africa’s most competitive economy, best infrastructure and highest-educated workforce. Narasiah also highlighted an ongoing build-up of the country’s communications infrastructure – including projects to roll out free Wi-Fi across the island and install fiber optic connections in every residence – as a key attraction for technology investors. Such stability and its geographic location has made Mauritius a popular venue for financial services companies looking to make the jump into new markets on the African continent – where many of the world’s largest unbanked populations exist. “Mauritius is a country that many of the governments of African states would like to emulate. So if you have systems that have been tested properly in Mauritius – it gives a kind of assurance and credibility to that solution when you market it in Africa,” said Narasiah. Mauritius also possesses a bilingual workforce speaking both English and French – two of the African continent’s lingua francas – and tax treaties with more than 20 African nations including South Africa, Zambia, Uganda and Rwanda. The island nation also maintains close cultural and economic ties to India – a $2tn economy projected to surpass China as the world’s most populous nation in the next decade. Roughly two-thirds of Mauritians are of Indian descent, and Mauritius has been the largest single source of foreign direct investment into India in recent years because of a favorable double taxation avoidance treaty between the two nations.